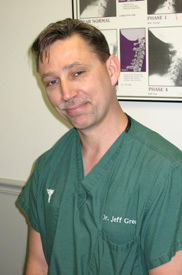 Dr. Jeffrey Greer has been licensed in the State of Michigan since 1985. He graduated with honors from Sherman College of Straight Chiropractic after completing his undergraduate work at Eastern Michigan University. Shortly after his graduation from Sherman College, he began his clinical practice at the well known Gregg Chiropractic Life Center of Garden City, which is widely considered a teaching facility throughout the profession. In 1986, Dr. Greer became the clinic director of this large, fast paced facility, where he would often see between 100-200 patients daily. Also during his tenure, Dr. Greer has trained nearly 30 associate chiropractic physicians, performed nearly 200 depositions, and had served on the New Center Hospital Program. In 1999, Dr. Greer decided that he needed a change of pace. 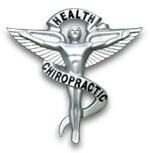 He founded Greer Chiropractic Life Center P.L.L.C. in downtown Plymouth, where he has served the community in an “individual and family” practice. The atmosphere in his office is quaint, relaxing, and comfortable. Many of the patients that he cares for have been with him for years. Dr. Greer has been a lecturer for health discussions within the profession and abroad, as well as an instructor in the “chiropractic/attorney relationship” for depositions at the MCC (now MAC). He has performed considerable legal work in both expert witness testimony and malpractice. Dr. Greer resides in the immediate area with his family.